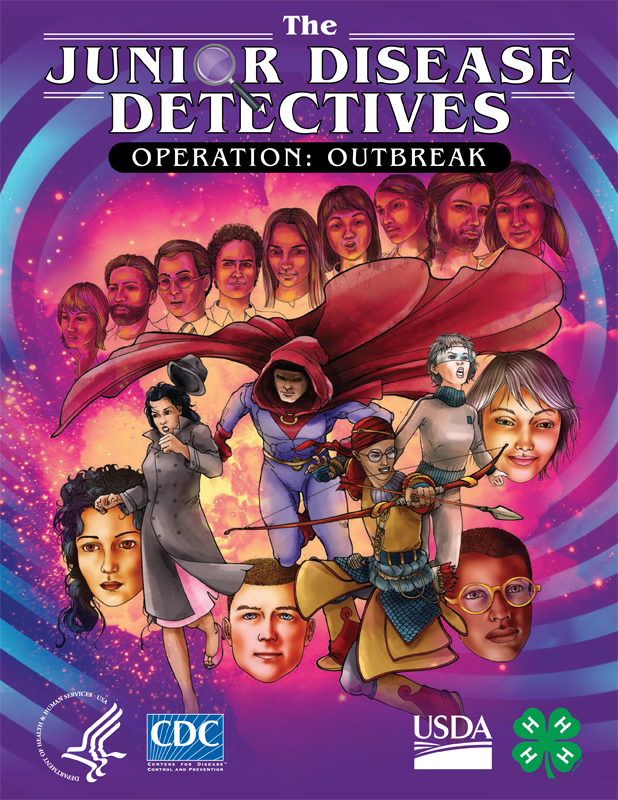 CDC - Disease Database - Case file: The Flu Crew - BAM! Influenza viruses, AKA the “Flu Crew,” are viruses spread mainly by coughing and sneezing. There are four different types of influenza, or flu, (A, B, C and D) but influenza A and B viruses are members of the “Flu Crew” that cause a lot of illness in people each year. If you are infected, or catch one of these viruses, you could feel pretty bad for a few days to up to two weeks. The Flu Crew travels the globe, appearing in the United States during flu season, which can happen between October and May (fall and winter). Influenza A and B viruses change all the time. That’s why, each year, CDC scientists and other flu experts keep a close watch on the Flu Crew and update the viruses that they use to make vaccines. Then, they try to help get as many people as possible vaccinated in order to help protect us from the Flu Crew. The best way to prevent flu is by getting a flu vaccine every year. If you get sick with the flu, there are medicines that can be prescribed by a doctor to treat flu illness. The Flu Crew’s three evil tricks make it tough to combat. Flu Crew members change all the time, and can outsmart past vaccines. Flu is contagious, which means it can spread from person to person. Infected people, those who have caught the virus, are contagious for about a day before they even know they’re sick. You are most contagious the first few days of illness. Diarrhea and vomiting can sometimes occur with the illness symptoms above, although these are more common in children. This sounds like a plain old cold, right? Wrong. The Flu Crew’s attack is sudden, not slow, and can be far more powerful than a cold. The Flu Crew hangs out in your nose, throat and lungs so it usually doesn’t affect your stomach. What’s the best way to fight the Flu Crew? Get vaccinated every year—here’s why: There are many different flu viruses that are constantly changing. Each year, scientists keep a close watch on the Flu Crew and try to predict which three or four crew members will cause the most trouble during the next flu season. This way, they can make a vaccine that protects you against those viruses. Extra actions—besides vaccination—that can keep the Flu Crew from spreading include staying away from people who are sick, covering coughs and sneezes, and washing your hands often. They can cause serious illness. Most of the time, people who get sick with flu will recover in less than 2 weeks. However, sometimes the Flu Crew lands even normally healthy kids and adults in the hospital. Some people are more likely to get very sick from the flu, like young children, pregnant women, older people, and people with certain medical conditions like diabetes, asthma, kidney disease, or heart disease. For a complete list of people who are at high risk of serious flu complications, see http://www.cdc.gov/flu/about/disease/high_risk.htm. The Flu Crew is unpredictable and can affect people differently. Even normal healthy people can get very sick from the flu and spread it to others. Since 2010, CDC estimates that between 140,000 and 710,000 people in the United States have ended up in the hospital because of the Flu Crew—that’s more than the entire population of the city of Denver, Colorado! Sadly, between 12,000 and 56,000 people die. Flu vaccines are the best protection against the Flu Crew. They train your immune system to recognize and fight the Flu Crew if they enter your body. For the best protection, health experts recommend that all people age 6 months and older get a flu vaccine each year. That’s right, that includes you! Some kids younger than 9 years old will need to get two doses of the flu vaccine to be fully protected if they have never had the flu vaccine before. Do you have a brother or sister who might need two doses? Make sure to remind your parents to ask the doctor. They’ll be impressed by your Flu Crew knowledge! Keeping this enemy in check requires real alertness. If you think the Flu Crew is making you sick, tell your parent(s) or guardian. Everyone must do what they can to prevent the Flu Crew from spreading their attack. This means staying home when you’re sick and avoiding other people as much as possible, covering coughs and sneezes with a tissue, and washing hands well and often! If you have the flu, your doctor may give you anti-flu medicines called “antivirals” to fight the virus. Getting vaccinated every year is your first and best defense against getting sick in the first place, but if you do get sick with flu, antiviral treatment is a second line of defense to prevent serious flu illness. Antivirals can help you get better faster, but they work best when started early after symptoms begin. Not everyone needs antivirals, but people who have certain medical conditions like asthma or heart disease should get them if they get sick. The Flu Crew can attack anybody, anywhere. Our main weapon against the Flu Crew is flu vaccines. Don’t worry, flu vaccines cannot give you flu. Flu season in the United States can start as early as October and last as late as May. It’s best to get vaccinated each year, by the end of October, if possible. But, the saying “better late than never” is true—even later in the season, the vaccine can help protect you against the Flu Crew. Remember, in addition to getting a flu vaccine every year, you can help protect yourself and others. Not touching your mouth, nose, or eyes (which is how germs spread). Washing hands well and often with soap and water. Staying home from school, and away from others as much as possible if you’ve been attacked by the Flu Crew. Covering up coughs and sneezes using a tissue instead of your hand. Washing hands often and well with soap and water, especially after you cough or sneeze. The Flu Crew has a well-known record of several frightening outbreaks and other tricky behavior. A flu pandemic is a worldwide outbreak of disease that occurs when a new flu virus— a new Flu Crew member—emerges and causes illness in people around the world. In 2009, a new Flu Crew member appeared called “2009 H1N1 virus” that belonged to the influenza type A family. Since 2009, this new virus member has been included in the yearly Flu Crew vaccine. Just like other Flu Crew members, this virus spreads easily from one person to another and can cause severe illness in people of all ages. H3N2 is also part of the influenza type A. It joined the Flu Crew in 1968. It is now part of the yearly Flu Crew vaccine too. The worst Flu Crew pandemic ever was the 1918 flu pandemic, which killed tens of millions of people around the world. 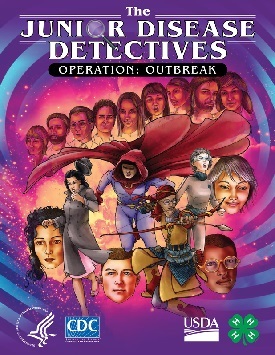 There’s a lot more information about this pandemic and even personal stories about people who lived through it on CDC’s web site. Flu Crew members also caused pandemics in 1957–58 and 1968–69; these Flu Crew members were not as deadly as the 1918 Flu Crew. 2018 is the 100th anniversary of the 1918 pandemic. CDC is preparing a commemoration to mark the historical event. Check out CDC’s Flu site for more information. conducted by public and animal health experts when outbreaks of infectious diseases occur. mystery of how their friend became ill.
For a fun coloring activity, click below! Connect with Us!